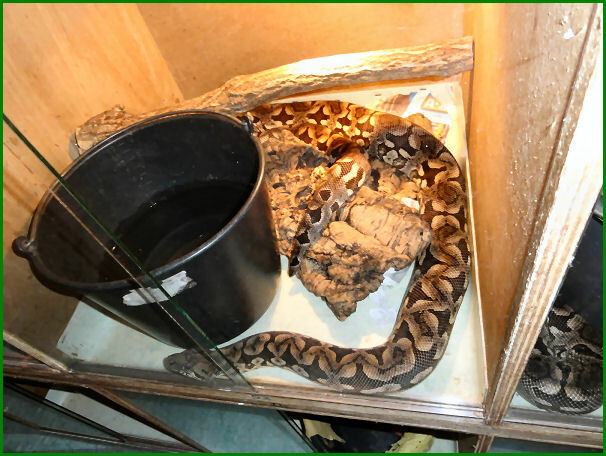 On the quarantine room that I have mentioned before are a large number of big snakes (Boas and Pythons) housed. 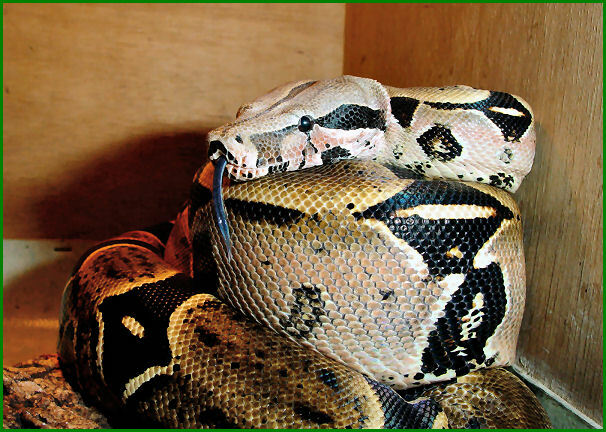 Many of these snakes have to spend their days in a terrarium of about 60 x 60 x 60 cm. And for most of them this means lifelong! For small specimen this is not that bad, but also large specimen have to live in these small terrariums. The terrariums are also very sparsely furnished so there can be no a dignified animal life. If mammals or birds would be housed in this way every animal welfare organization would protest. But now it only are snakes, so who cares? Well, I care and I know there are a lot of other people who care too! A lot of these large snakes are Madagascar Ground Boas (Aacrantophis dumerili). Most of them are over 1 meter and some are as thick as a mens upper arm. 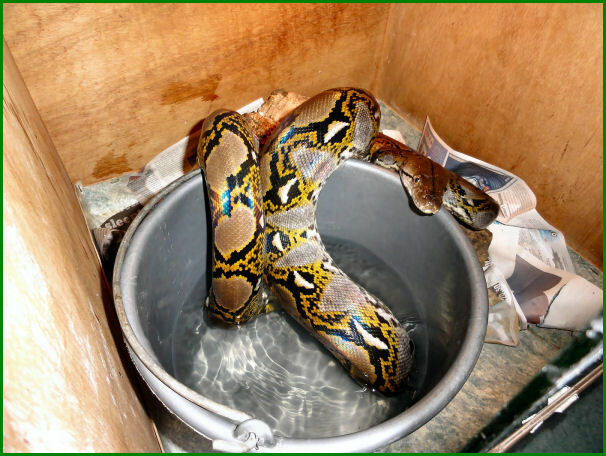 These snakes are so called Cites A animals That ere close to extinction (for more info, see The Cites site). They are confiscated by the Dutch government for several reasons. The management of the reptile zoo gets well paid to take care of them and you would expect that they give them a good life. 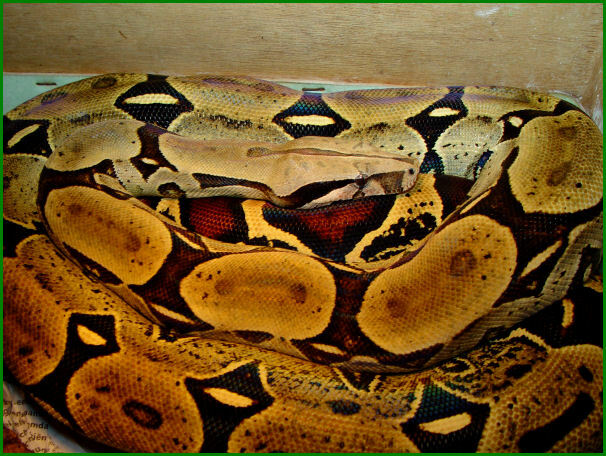 Also some reticulated pythons (Broghammerus reticulatus) are housed in the mentioned way. 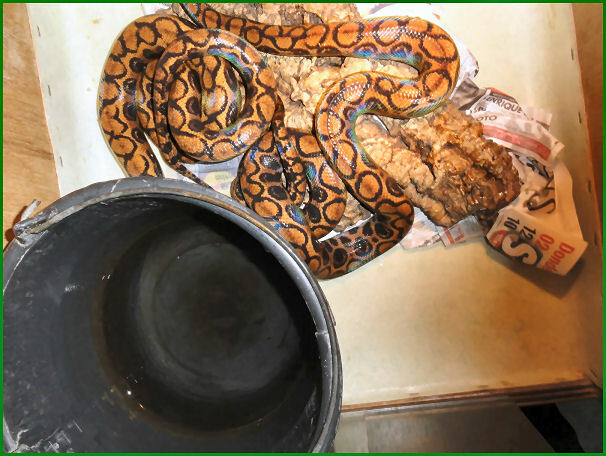 These are juveniles of the large reticulated pythons that live in the expedition. The only reason why they were bred is to have a young to use for publicity in the media. No other zoo wants them. The oldest was during my internship at least 2 meters long. This snake was always very stressed during the cleaning of its terrarium because it had no place to hide. This species is somewhat nervous by nature. 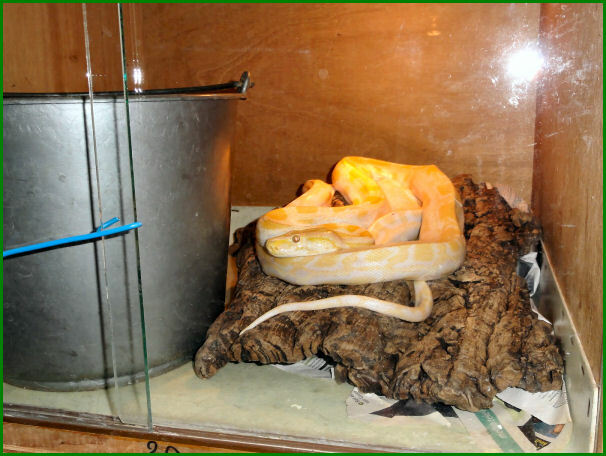 Also Burmese pythons (Python molurus bivittatus) and Rainbow boas (Epicrates cenchria cenchria) are housed in this way. Confiscated animals the zoo gets paid for. Some large Boa constrictors (Boa constrictor) of over 2 meters and 10 cm diameter are housed in these small terrariums. A number of Madagascar Tree Boas (Sanzinia madagascariensis) are housed in these small terrariums. Some are confiscated animals the zoo gets paid for. 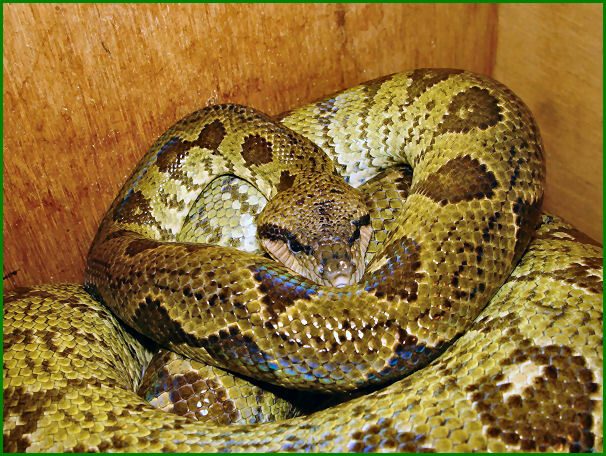 A male and a female Green Tree Boas (Corallus batesii) are housed in small plastic boxes of about 30 x 40 x 40 cm. These are adult animals. On the picture you see the male. The female is twice as big. 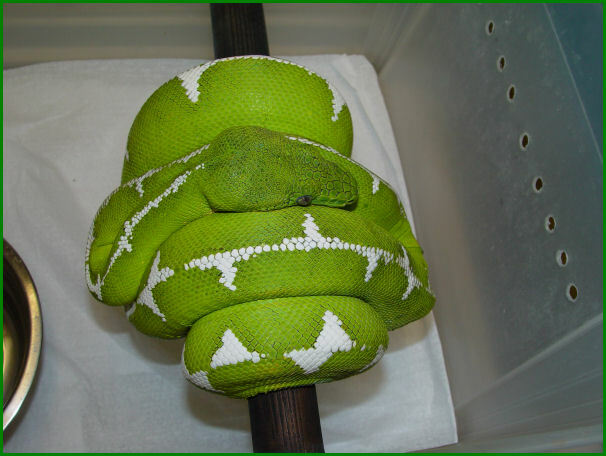 Male Green Tree Boa (Corallus batesii) What you see is the helve of its "terrarium"